Have a question for Goodstay Equus Motel? Conveniently located in Jeju Island, Goodstay Equus Motel is a great base from which to explore this vibrant city. Only away, this 2-star hotel can be easily accessed from the airport. A well-kempt environment and its proximity to Jeju Sculpture Park, Sanbangsan Mountain, Sanbanggulsa Grotto give to this hotel a special charm. Goodstay Hotel is renowned for its quality services and friendly staff, and Goodstay Equus Motel lives up to expectations. The hotel offers access to a vast array of services, including 24-hour front desk, express check-in/check-out, luggage storage, Wi-Fi in public areas, car park. All guest accommodations feature thoughtful amenities to ensure an unparalleled sense of comfort. Besides, the hotel's host of recreational offerings ensures you have plenty to do during your stay. 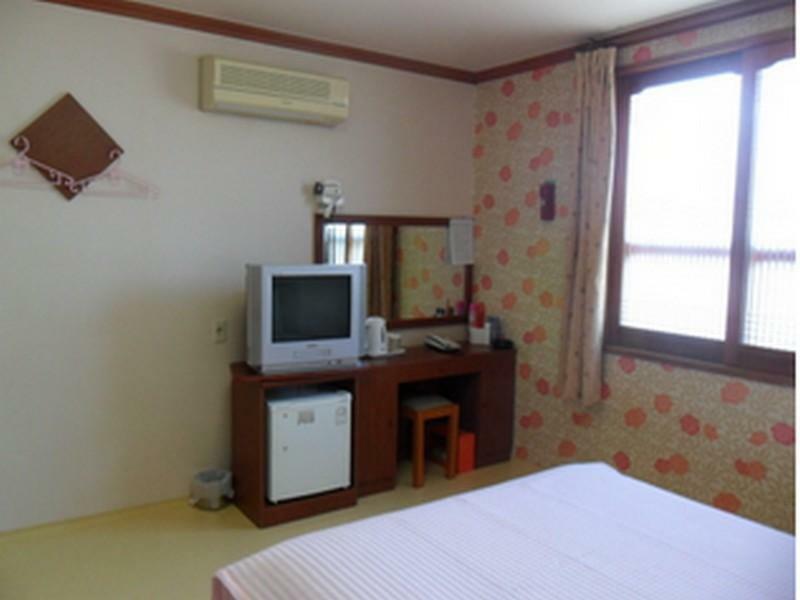 Goodstay Equus Motel is an ideal place of stay for travelers seeking charm, comfort and convenience in Jeju Island. Very comfortable. Prompt service. Lots of car park. Lift was faulty so used stairs. Normal motel. Ondol floors downstairs were not that great and my parents were miserable with mosquitos biting them. However, us who were upstairs in the beds were fine. Elevator was broken, no fun climbing stairs with all your luggage. Fine if you have a rental and GPS. Good location near to bus stop and family mart, friendly and helpful staffs, clean and comfortable environment. Plenty parking space. Close to convenient store. Quiet surrounding. Sound proof of the room is not good. Can hear people talking and walking along corridor. It was a very old hotel although the bathroom is bigger than the standard Korean bathrooms. However, I found it very uncomfortable as the room was very hot and the bed was way too hard. There was an air conditioner but the remote control was no where to be found. More importantly, there was no wifi in the room nor in the lobby. Nothing much in the area except for a convenience store and a nearby petrol kiosk. Other than the fact that it is cheap, I will not recommend this place. We were pleased. Very clean, adequate size for two, and easy on the budget. No eating facilities, but local restaurants and convenience stores within easy walking distance. The staff was very willing to call for a taxi. Clean, beautiful and big space. Quite enjoyable and the owner is a very nice person. Clean. Close to bus stop. Quiet. Clean and comfortable rooms. Located in Hwasun village, about 20 minutes from Jungmun beach area by bus. Hotel is very near bus stop line 700, which is also starting point of Olle hiking trail route 10. Staff is friendly but english very limited. Recommended for overnight, the room is very clean and big! Don't be freak out by their timer toilet which can suddenly goes dark if you bath halfway in it. Good way to deter some person that hog toilet for too long. There's only cabled internet there, and wireless internet is only offered in the lobby. That's the only downside. The motel is very nice. Clean room and comfortable for me. The motel staff is very friendly. 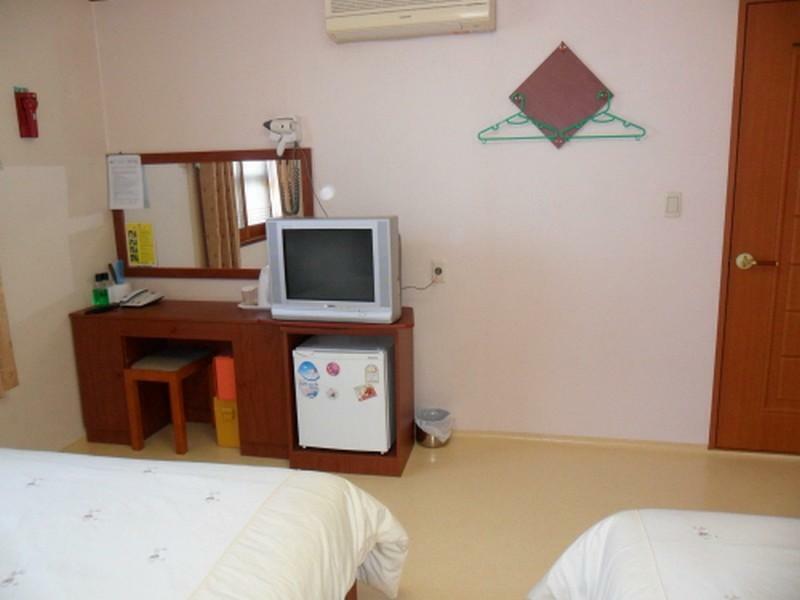 Fast check-in, Attentive staff, Comfortable room. It was good! The room has everything! Large room. Very worth-the-money! Very comfortable, with nice staff. In my room i can see the mountain view that cheer my morning. Very good hotel and recommended to all tourist. The owner very nice and helpful during our holiday. We are faced difficulty and he help us a lot. The room, toilet, bed and environment very good. Have car park lot for your rental car. I will stay in this hotel again if I go to Jeju. Recommendation to owner: to upgrade the wifi access to all level room.